Microsoft has recently reported a loss of exceeding USD1 billion due to the “general hardware failure”. The symptom with three red flashing lights, or popularly known as “Red Ring of Death” in gaming community was believed to be caused by components overheat in the system. Although Microsoft didn’t disclose anything, but some of the thermal experts have already taken the initiative to try figuring out what could have gone wrong with the system. The thermal experts managed to compare two different sets of consoles: one original set which exhibits the problem and the other unit which was returned after being repaired (which supposed to fix the problem) in May 2007. This approach is clear that if they were able to compare the differences between the two units before and after the fix, then the potential root cause could be revealed. First, the team analyzed the original console especially when the actual application – an intensive 3D graphics game was running. They realized that the ambient temperature was around 22°C higher as compared to room temperature, which was believed to be abnormal from thermal management perspective. 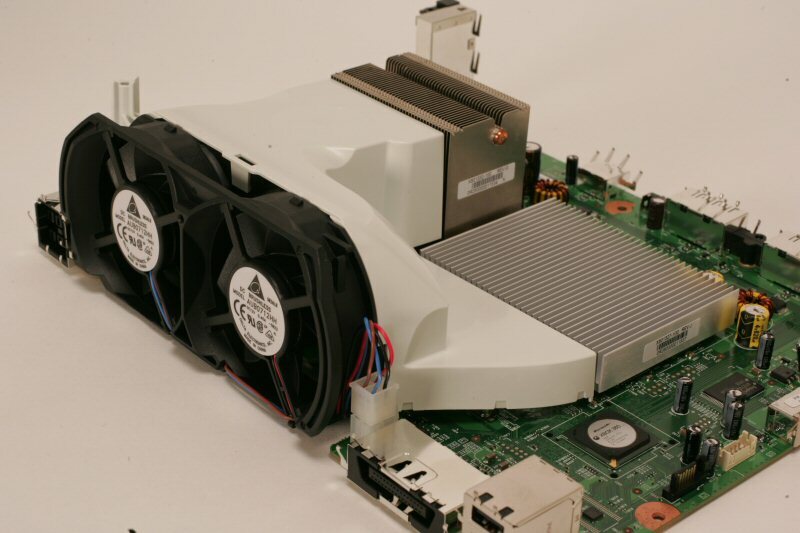 On top of that, the air ventilation and heat sink on the graphics LSI was small (space constraint due to DVD drive above it) that could have made things worst. To confirm the actual temperature, they probed on both the CPU and graphics LSI heat sink and were surprised to get more than 90°C while the intensive 3D graphics game was running. Next step, the team opened up the returned console, to inspect if there is any difference before and after the fix. Surprisingly, they can’t figure out any improvement especially on the heat sink and air ventilation. Obviously, Microsoft may have changed the faulty components but did not take further step to improve the thermal design. Potentially, it could be due to other root causes that doesn’t relate to overheated components at all. After all the experimental efforts, some of you may have some clues or able to guess what could have gone wrong.